We’re very pleased to announce the the release of Blazegraph 2.1.4. This is a maintenance release of Blazegraph. See the full details here. Download it, clone it, have it sent via carrier pigeon (transportation charges may apply). Find a bug, hit JIRA. Have a question, try the mailing list or contact-us. Blazegraph has an updated security reporting procedure. Please see the guide for reporting security related issues. This process is monitored on a daily basis. All security reports are acknowledged within 24 hours. Mitigations for reported security issues are made in a reasonable timeframe, which may be as quickly as 24 hours for high-severity issues. Blazegraph 2.1.4 is now on Maven Central. You can also get the Tinkerpop3 API and the new BlazegraphTPFServer. Everybody loves (and hates) Maven. Starting with the 2.0.0 release, Blazegraph has been broken into a collection of maven artifacts. This has enabled us to work on new features like TinkerPop3, which require Java 8 support while keeping the core platform at Java 7 to support users who are still there. Checkout the Maven Notes on the wiki for full details on the architecture, getting started with development, building snapshots, etc. If you have a 1.5.3 version checked out in Eclipse, you will want to pay attention to Getting Started with Eclipse and allocate a little extra time for the transition. 2.1.4 provides updates for the Debian Deployer, an RPM Deployer, and a Tarball. In addition to the blazegraph.war and blazegraph.jar archives. Are you interested in trying out GPU Acceleration for you Blazegraph instance? Contact us for a free trial! This entry was posted in Uncategorized on August 29, 2016 by Brad Bebee. 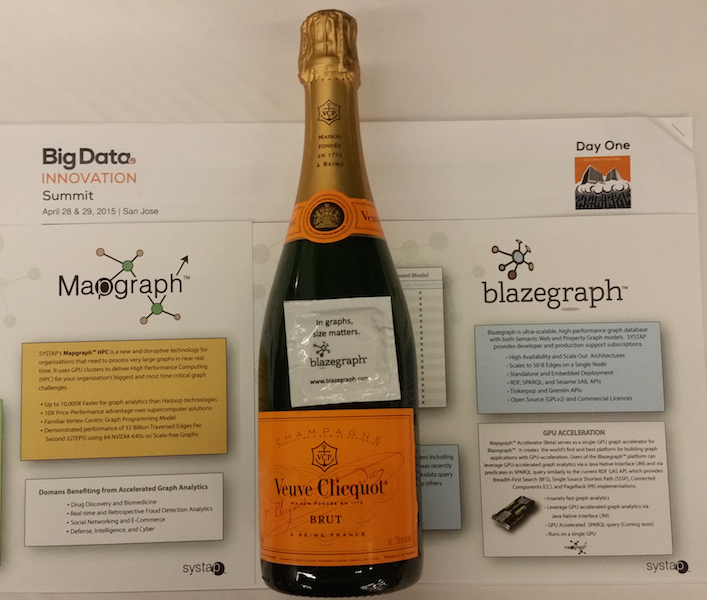 We’re very pleased to announce the the release of Blazegraph 2.1.2. This is a maintenance release of Blazegraph. See the full details here. Blazegraph 2.1.2 is now on Maven Central. You can also get the Tinkerpop3 API and the new BlazegraphTPFServer. 2.1.2 provides updates for the Debian Deployer, an RPM Deployer, and a Tarball. In addition to the blazegraph.war and blazegraph.jar archives. There also many other features for improved data loading, building custom vocabularies, and many more. Check it out. This entry was posted in Uncategorized on June 18, 2016 by Brad Bebee. We’re very pleased to announce the the release of Blazegraph 2.1.1. This is a maintenance release of Blazegraph. See the full details here. Blazegraph 2.1.1 provides fixes for Lucene 5.5.0 support. There’s a guide to reindexing with the updated Lucene tokenizers here. It also now includes support for adding a text index to an existing namespace without reloading. Then issue some queries to get started! Blazegraph 2.1.1 is now on Maven Central. You can also get the Tinkerpop3 API and the new BlazegraphTPFServer. The TPF Server for Blazegraph (TP4Blazegraph) is a Linked Data Fragment (LDF) server that provides a Triple Pattern Fragment (TPF) interface using the Blazegraph graph database as backend. It was originally developed by Olaf Hartig and is being released via Blazegraph under the Apache 2 license. See here to get started. 2.1.1 provides updates for the Debian Deployer, an RPM Deployer, and a Tarball. In addition to the blazegraph.war and blazegraph.jar archives. This entry was posted in Uncategorized on June 9, 2016 by Brad Bebee. 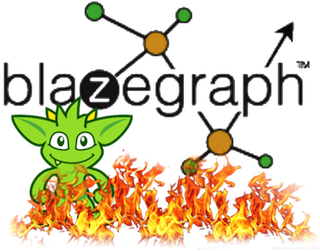 We’re very pleased to announce the the release Blazegraph 2.1.0. 2.1.0 release is a Major release of Blazegraph. There are some very exciting changes for GeoSpatial Searching, update to Lucene 5.5.0, support for online back-up via the REST API, JSON-LD support, and much more. Blazegraph 2.1.0 supports Lucene 5.5.0. There’s a guide to reindexing with the updated Lucene tokenizers here. It also now includes support for adding a text index to an existing namespace without reloading. Blazegraph 2.1.0 now includes a custom vocabulary for using with Pubchem. You can checkout a quick guide at Blazegraph Pubchem. We’ll be including some feature blog posts on using and tuning with the Pubchem data. If you’re interested in applying Blazegraph to this data or have any questions, we’d love hear from you. Blazegraph 2.1.0 is now on Maven Central. You can also get the Tinkerpop3 API and the new BlazegraphTPFServer. 2.1.0 provides Debian Deployer, an RPM Deployer, and a Tarball. In addition to the blazegraph.war and blazegraph.jar archives. We will be releasing published benchmarks for LUBM and BSBM for the 2.1.0. release. This entry was posted in Uncategorized on April 8, 2016 by Brad Bebee. We’re very pleased to announce the release of Blazegraph 1.5.3 is now available for download. 1.5.3 is minor release of Blazegraph with some important bug fixes. The full set of features is available on JIRA. We recommend upgrading to this release. If you’re upgrading from prior to 1.5.2, be sure to checkout the updated documentation on SPARQL and Dr. Michael Schmidt‘s excellent blog posts:  and  as well as the Wiki documentation: Sparql Order Matters and Sparql Bottom Up Semantics. We have some exciting things planned for our 1.6 release coming later this year including GPU acceleration for SPARQL, deployment on Maven Central, and continued improvements in query optimization and performance. Don’t miss it. Sign up to stay in touch with Blazegraph. 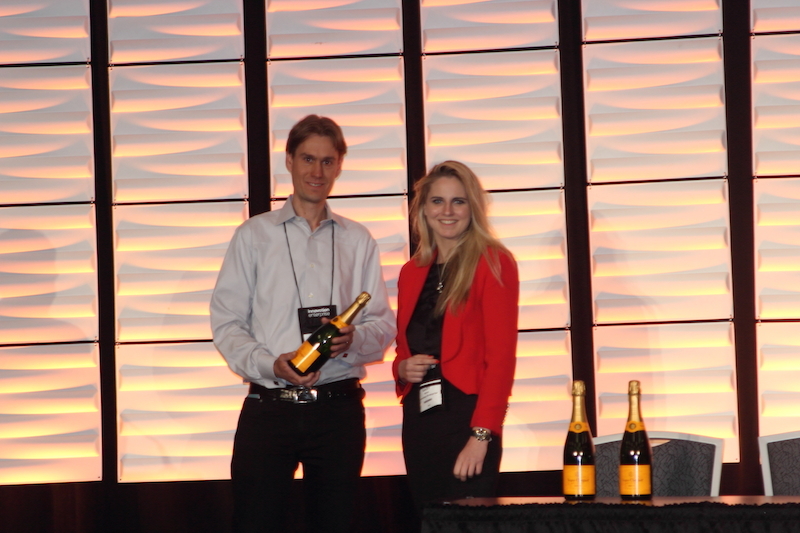 Will you be at the International Semantic Web Conference (ISWC) this year? We’re a Gold sponsor along with our partner Metaphacts and will be speaking and exhibiting. Come see us. This entry was posted in Blazegraph Release on September 25, 2015 by Brad Bebee.